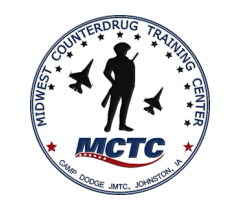 This train-the-trainer certification course is restricted to US military, substance abuse prevention professionals, and community volunteers with prior approval from the Course Instructor. Students will be certified to instruct MCTC's Engagement Scorecard Training course (described below). At a minimum, students should have a basic understanding of substance abuse prevention models and terminology. Students should have at least 6 months working extensively as part of a coalition. Ideally, students will have two years experience working in prevention and have one or more years working with coalitions. Students should have a working knowledge of spreadsheets and Google Drive. The training will be most effective with individuals who are currently active and play a key role in a coalition. Engagement Scorecards are used to assist coalition leaders in developing effective data driven strategies to improve participation and collaboration of stakeholders in the community, thereby helping them achieve their goals and improving sustainability. This course trains students to gather participation metrics and how to use and modify the Engagement Scorecard. Students apply these concepts by conducting practical application in the use of the Engagement Scorecard through group practical exercises. The course will end with a facilitated discussion of evaluating the effectiveness of the engagement plan using the Engagement Scorecard. Engagement Scorecard Train-The-Trainer is a one-day (7.5 hour) course.